by Art Fries • If your clients had the good sense to purchase disability coverage, knowing that they will have cash flow to replace a portion of earned income should go a long way toward reducing the stress so often related to a disability claim. by Rob Kirkpatrick • Many employers with group long-term disability coverage face the question of how to offer adequate income replacement to highly compensated employees without increasing their exposure to risk and pricing volatility. The answer may be easier than they think. by Mark Roberts • Many brokers and employers are tempted to simply compare prices and do a basic review of each plan’s packaging (deductible, annual maximum, coverage, and programs) without drilling down into the plan ingredients. By Leila Morris • We ask the top companies in the state essential questions about coverage and services that affect you, the broker. Read on to find out what plans will work best for you and your client. by David Zanze • There are several advantages to self-funding a health plan, but the primary reasons that employers choose this option is to lower costs and increase financial control. by Bill Olson • Employers should consider the savings versus the potential cost of keeping or implementing a new plan. What Triggers a Loss of Grandfather Status? by Bill Olson • Find out how plans will lose their grandfathered status if they make changes that reduce benefits or increase costs to consumers. by Michael Hagedorn • Having lifetime benefits is the ultimate restoration-of-benefits option; it eliminates the need for spousal pools because the benefits are unlimited. By Denise M. Desautels • A number of life insurance products have been developed for the non-qualified deferred compensation marketplace. by Leila Morris • Experts are predicting increased participation and expanded eligibility in 401(k)s .
I have given advice to many professionals in connection with their disability claims over the past 12 years. Secondary depression-related factors often appear as a result of physical symptoms. Here is a typical scenario: Your client has been a highly successful a surgeon or dentist who now has cervical disc problems that prevent him from leaning forward and moving or extending his neck for long periods. There may be multiple symptoms involving the low back or hands, arms or shoulders. The longer your client continues to work, the higher his pain threshold increases. Your client may not want to accept the fact that he may be posing a danger to himself or to his patients. He thinks about the long hours he studied in undergraduate medical or dental school, the financial sacrifices he made in the early years, and his sense of identity coming to an end. His personal life may also be affected in terms of athletic activities becoming restricted and he may take more prescription medication or drink excessively to control the pain. His financial house of cards will crumble if he goes on a disability claim unless he has a great deal of savings or enough disability benefits to maintain a somewhat reasonable lifestyle. Sometimes, his lifestyle will be reduced and he may be forced to live in a less expensive area, losing contact with close friends or relatives. Added stress is created for the family. It is not a happy time. It’s almost as if he has lost a loved one; these feelings are quite normal. But there is hope in knowing that he will get past this period and usually the emotional feelings are temporary. Sometimes, your client will tell you that his wife is upset as a result of his having to go on disability claim. What does she tell her friends? How does she handle this loss of identity (being married to a surgeon or dentist)? I usually suggest that the client visit with a psychiatrist or psychologist to get over this hump. Within time, the feeling will disappear. Sometimes, the client finds another job does not conflict with his symptoms and is collecting disability benefits on a long-term basis under a “Your Occupation” definition. The combination of the earnings from the other job (full-time or part-time) and the disability benefits (often tax free) have a tendency to instill confidence in your client and help him get past the emotional turmoil of ending his career. Other times, the client may not work at another job, but will get to spend more time with family and do things he never had time to do in the past. This also helps to get him over the hump. Continuing to work while having a high level of constant or intermittent pain can lead to permanent damage and clinical mistakes. Your client might not have any pain, but have an essential tremor that causes his hands to shake or is losing vision, which affects his performance. He should not wait for the malpractice claims to begin because his ego was too big for him to consider the alternatives. In summation, it’s O.K. for your client to admit that he has a health problem. There is no written law that says we must work until we drop. For clients who feel that the walls are closing in, it’s smart to get professional help from a therapist and get better control their emotions. Your client purchased disability insurance, paying substantial premiums to keep him close to his world if he became sick or hurt and couldn’t do his thing. It wasn’t your client’s intent to profit from this purchase; often the benefits will be less than the client’s previous earnings. But it’s now time for the insurance company to honor its promises and pay money that the client is entitled to. Your client had the good sense to purchase disability coverage. Knowing that he will have cash flow to replace a portion of his earned income should go a long way toward reducing the stress so often related to a disability claim. Art Fries is a disability claim consultant providing advice on a national basis. He is located in Newport Beach, Calif. and can be reached at 800-567-1911. Many employers with group long-term disability coverage face the question of how to offer adequate income replacement to highly compensated employees without increasing their exposure to risk and pricing volatility. The answer may be easier than they think. Employers can supplement a group LTD plan by offering individual disability insurance. It’s an ideal way for employers to diversify risks, enhance benefits, and possibly reduce future costs. Integrating group LTD coverage and individual income protection is an effective way to balance risk, which benefits employers and employees, particularly those key high-income executives. • Less risk for employers: Since group experience and pricing don’t affect individual plans, there is reduced exposure to the claims experience. This long-term solution helps stabilize rates for the entire disability program, including both group LTD and individual. • More rate stability: Group LTD premiums can increase at renewal based on plan experience. Since individual disability insurance rates are fixed and non-cancellable, they cannot increase until the insured person is age 65. • Value-added enhancements: Income protection benefits for high-income earners are enriched while equity is maintained in the plan design. Individual disability insurance can reduce the impact on an employer’s bottom line. Supplementing group LTD plans with individual income protection lowers the benefit cap. It also produces a stop-loss effect, which isolates the potential impact of a high-income earner’s claim on the group LTD plan experience. That portion of the risk is shifted to the individual disability insurance carrier without affecting the group LTD plan experience. Let’s say that an employer has relied solely on group LTD to cover highly compensated employees. Monthly benefit caps can be as high as $35,000 for this group of high-income earners. But only a handful of insurance carriers can quote maximums of more than $20,000, which limits the number of carriers that are willing and able to take on an employer’s risk. It would be more advantageous for this employer to lower the group LTD maximum benefit cap, such as a $20,000 cap, and supplement the plan with individual disability insurance. This would result in lower group reserves for this claim. It lessens the impact on the group LTD experience and opens the doors to more insurance carriers, which may result in an employer receiving more competitive group LTD rates. Consider another example: An employer with 3,000 employees has a group LTD plan that covers 60% of an employee’s salary up to $25,000 per month. The employer and employees get lower rates by reducing the benefit cap to $20,000 per month. The employer’s savings can be used to subsidize an individual program. The individual disability insurance offers an additional $5,000 per month to all those who are capped at the monthly $20,000 maximum, bringing them to the desired $25,000 monthly benefit cap. The individual disability insurance carrier might be able to offer even more coverage, which could be needed by the top employees earning more than $500,000 annually. Even though these types of plans might cost more initially, they insure overall plan stability over time. • Salary-only protection: Most group LTD plans protect up to 60% of an employee’s salary without any protection for other compensation, such as bonus and incentive compensation. • Benefit caps: Group LTD plans typically have benefit caps based on more moderate income levels, which may limit the amount of income replacement more highly compensated employees can receive. • Taxes: Employer-paid benefits, like the usual group LTD plan design, are taxable, so the actual income replacement may be substantially less than expected. By supplementing their group plan with individual disability insurance, highly compensated employees get an extra layer of protection that provides greater income replacement. This integrated coverage is a good solution. It provides a group LTD plan for all employees at a reasonable cost. In addition, the supplemental individual disability insurance offers any eligible employee permanent individual coverage with some value-added features not typically found in LTD plans. Highlights include level premiums and guaranteed standard issue. • Option for up to 100% income replacement coverage for catastrophic disabilities. • Opportunity to exchange an individual disability policy for a long term care policy after age 60. • Custom designs that complement most group LTD plans. • Fixed premium and non-cancellable coverage to age 65. • Individually owned permanent disability coverage. The value of transferring risk from group LTD to individual disability insurance is clear. It’s a long-term benefit solution that stabilizes group LTD plans, limits risk and volatility, and offers high-income earners the coverage they need. Rob Kirkpatrick is an executive benefits specialist with Unum in its Los Angeles office. He graduated from the Marshall School of Business at the University of Southern California where he studied finance and management. Remember those lyrics from a song made popular by Louis Armstrong in the 1950’s? As a matter of fact, a host of other recording artists sang this catchy tune, “Smile and the World Smiles With You,” including Judy Garland, Frank Sinatra, Louis Prima, Dean Martin, and more. The song has remained a favorite for decades. It is not only upbeat tune, but the message is also clear and true. When you smite, your grin can be hugely infectious and cause others to smile as well, especially if you have been taking care of those pearly whites. Smiling is one of the best ways to make new friends and to put others at ease. If someone has been having a tough day, showing a beautiful smile is a great way to help soften their tension. People who smile a lot have more self-confidence according to Zhaopin, a Chinese HR firm. In the job search market, it’s even more critical when looking for employment. More than 60% of all human resources staff interviewed said the appearance of job seekers was important. Some companies choose the job candidate with better looks if there is nothing to distinguish between ability. If you have a career in communications, sales, or marketing, a dazzling smile is essential and it can say a lot about you. From a health perspective, a healthy smile will lead to fewer healthcare problems and potentially a longer life. It has long been thought that a happy disposition can affect life expectancy. According to Wayne State University in Michigan, the wider you grin and the deeper your laughter lines, the more likely you are to have a long life. Since smiles are so important, so is dental care. Broader smiles and wrinkles around your eyes point to a positive outlook on life, which translates to better long-term health. Not going to the dentist for even minor preventive procedures will definitely result in more serious oral health issues later that require more time missed from work — less productivity and profit for the employer, and less earning potential for the employee. Dental illness is the most common of all chronic health concerns and accounts for significant loss of workforce productivity and significant healthcare costs, according to the National Association of Dental Plans. Studies show that workers who get their dental care and maintain good oral health do far better on the job than those who do not. Oral health reduces the chance of needing emergency visits and the pain and discomfort that can harm a worker’s focus and confidence. Workers who are confident about their family’s health are more focused, productive, and secure. Absenteeism for dentist visits, pain, discomfort and poor self-confidence harm production, employee confidence, and quality of life across the corporate community. Reports from the past 10 years provide some detail about the impact of oral health on the workplace. Workers experience 164 million hours of lost work time each year due to dental visits, according to the Department of Labor. The country’s annual cost for general dental care is estimated at $60 billion dollars, which does not account for cranial facial care and care for oral problems, such as oral cancer or chronic pain syndromes. These medical costs are estimated to average $100,000 per individual for the lifetime of care required to address these oral illnesses and developmental problems. The Surgeon General’s report on dental health goes on to say that studies increasingly demonstrate the health and cost implications of oral illness to well-known chronic illnesses. Poor oral health affects diabetes, heart disease, stroke, prenatal health, pneumonia and brittle bone disease in women. Common medications for blood pressure and mood disorders can harm oral health. Dental care costs exceeded the costs for cancer and diabetes. Preventive dental care could significantly reduce loss of productivity and catch problems before they become chronic or severe. Regular dental evaluations may also reveal surprising information about seemingly unrelated health issues. Medical professionals have identified at least 120 medical symptoms that can be detected in the mouth during routine dental checkups, including skin diseases, mental illness, diabetes, thyroid problems, leukemia, cancer or hardening of the arteries. In fact, bleeding gums, etched enamel, and other tissue changes in the mouth are often the first clues to serious health problems. Medical studies have also revealed that pregnant women with gum disease are seven times more likely to have babies that are born too early and too small, according to the American Academy of Periodontology. Lost time, lack of productivity, poor employee health, and reduced revenues are all critical reasons to make sure that employers should encourage workers to maintain good oral health. Providing access to a quality dental plan at affordable rates will help reduce the problems associated with employees who have problems related to poor oral health. A quality dental plan can be a valuable benefit to help keep employees at work. A direct reimbursement plan is only an insurance plan from the employee’s perspective. Rather than relying on a third-party insurer, the employer offers in-house dental coverage for employees by paying for dental expenses from a cash reserve the employer sets aside exclusively for this purpose. Dentists love these kinds of plans because they don’t restrict the amount they can charge for services. But they are the most costly for employers. The participation rate, often up to 20% as a general average, can be low since the cost for the insurance can be expensive on a voluntary basis. Indemnity plans are traditional insurance plans in which a third-party insurer collects premium in exchange for dental coverage. As an employer, it’s much more convenient than a direct reimbursement plan because you can accurately budget for it based on the amount of your annual premiums. Employees, on the other hand, can be left holding the bag for dental costs that exceed the amount the insurance will pay. Co-pays and deductibles are standard features as well, so the out-of-pocket costs for your workers can quickly add up. Managed care plans are possibly the fairest plans because no one is completely satisfied. Like an indemnity plan, a third-party insurer provides employee coverage for dental care. But the difference is that managed care plans are subject to certain cost-cutting measures that restrict both patients and dental care providers. Employees are forced to select treatment from a list of providers distributed by the insurer. In return for being included in the plan, providers’ fees are determined in advance by the insurer. Although they are usually required to come up with a co-payment, the big benefit for patients is that they are no longer required to cover service fees that exceed insurer limits. Business owners generally favor these plans because they are the least expensive option. For extreme savings on dental expenses, a discount plan is the least costly way to go; it’s typically 10% of the cost of traditional dental insurance. Also, there is no waiting, unlimited use, and no forms to complete for reimbursement or any claims process. Employees go to a participating dentist and pay a significantly reduced price at the time of service to the provider. In many cases, the plan design may also include all household residents in addition to the primary member. Savings can be anywhere from 20% to 60% and all procedures are included at a discounted rate—including general dentistry, all specialties, orthodontia, cosmetic and much more. There are several great discount networks in the marketplace. After the pay scale, the next most important consideration by workers is benefits, and how rich the plan design is. One great option is a discount dental plan that reduces costs significantly for the employer and employees. As a baked in benefit, the cost can be very affordable, often for just a nominal amount for the plan. A voluntary plan is not much more expensive and can often be only 10% of the cost of traditional dental insurance. The employer can get a huge savings on the cost for the plan and for the reimbursement and the employee can use a discount plan without many of the restrictions often seen in dental insurance. • Compare prices from several discount dental plan providers. Today’s dental plans are much more competitive; you are sure to find inexpensive membership prices when there is more competition. • A familiar name doesn’t necessarily guarantee better service. Some plans are national and others are local. National plans are usually more famous and recognizable. • Review all the features of each dental plan provider. See if the plans also include vision correction options, prescription, and healthcare benefits. • Search for participating dentists in your area, and verify with the provider that their office still is taking the plan, and talk to the dental office before you show up. Some people simply don’t feel comfortable without some type of protection. The discount on procedures can be as generous as 50% off normal charges. You can save a huge amount of money using a discount dental plan. In a down economy, every little bit helps, especially in dental and healthcare. Your clients should do their homework before joining one, but use the plan frequently to maintain good dental health. One concept that has great appeal is a dental health reimbursement account (HRA). Although not a new idea, there are few products in the marketplace, especially for employers, that are tied to specific plan designs. Now employers can self-fund dental, vision and other benefits through an HRA combined with discount PPO networks. This allows for more efficient utilization of benefit dollars while greatly reducing costs for the employer. Participants can access high-quality dental services at discounted rates by combining the power of an HRA with a discount dental network to reduce costs for employers and participants. Funds are only used when employees incur expenses; unused funds remain in the HRA instead of being wasted on costly premium payments. The flexibility of the HRA helps employers reduce costs while retaining greater control over how benefit dollars are spent. With the funds tied to a debit card, employees can use in- or out-of -network dentists, but save more money with participating dental providers. Healthy behaviors that support oral health go far beyond a healthy smile. People don’t usually get oral health information specific to their situation nor do they know the benefits of timely dental visits for preventive care. Each person’s risk for poor oral health is specific to their lifestyle and general health, according to the US Surgeon General. Risk can be measured through questionnaires about behaviors and situations that are significant to oral health and general health. People certainly respond to information that is specific to them, that removes misconceptions about oral problems, and that helps them become wise consumers of healthcare. Personalized oral health education can be facilitated easily through secure, interactive online risk assessment tools provided by a corporate wellness program at very low cost. This approach can benefit the entire corporate community, provide precise data for program evaluation, direct timely dental preventive healthcare and reduce overall healthcare costs. Today, most employees share in the cost of their dental benefits, but few can choose between coverage levels. According to MetLife research, 84% of employees said they share or pay the entire cost of their coverage, but only 17% have a choice of plans. Employees who are engaged in choosing their level of coverage want more choices to be made available to them. Sixty-seven percent of employees who have choices are likely to agree they want more choices in cost and coverage; and when employees understand their benefits, they are willing to pay more for more appropriate coverage. While there is no grocery store for employee benefits plans, the concept remains the same: the most important part of the decision process to select any benefit is to check the label. When it comes to dental plans, one size does not fit all, but many brokers and employers are tempted to simply compare prices and do a basic review of each plan’s packaging (deductible, annual maximum, coverage, and programs), without drilling down into the plan ingredients. Though it’s not always obvious, these ingredients can differ dramatically from plan to plan and have a major impact on the value of the plan to employers and their employees. Mark Roberts’ professional sales background includes almost 30 years of sales and marketing in the tax, insurance, and investment markets. Currently his key focus is developing relationships with large national client groups, including insurance plans, employers, and unions. 16. What service guarantees do you offer? Aetna: We do not offer HSA service guarantees. Anthem Blue Cross: We do not offer performance guarantees in the Small Group market or Individual market. Blue Shield: In order to ensure our members consistently receive excellent customer service, we have a number of service level agreements in place as part of our relationship with Wells Fargo (e.g., performance agreements for average speed of telephone response). CIGNA: The standard performance guarantees apply. First Horizon Msaver: Service-level guarantees vary based on the scope of the relationship with the customer, but generally include commitments around the delivery of debit cards and Welcome Kits as well as Customer Call Center metrics. HSA California: HSA California guarantees outstanding service. Our customer service team has expert knowledge of the insurance industry and is available between 8 a.m. and 5:00 p.m. Monday-Friday for personal assistance. Kaiser Permanente: Providing performance guarantees of our member services and care delivery is an important aspect of our customer service. A performance guarantee is a promise, backed by financial risk, to our customers with 500 or more non-Medicare members in a single Kaiser Permanente health plan that we will perform at an agreed-upon level of proficiency. We do not offer service guarantees to the Individual, Family or Small group markets. Sterling HSA: Sterling HSA offers a full money back guarantee of up to 12 months of paid monthly maintenance fees if our accountholders are unhappy with our service for any reason. Sterling was the first HSA administrator to offer such a guarantee and made this commitment when the company was founded in 2004. UnitedHealth Group: Service guarantees will vary based on the scope of the relationship with the customer, but are typically available with respect to administrative service delivered under the plan. 17. What kinds of depositories are desired? Anthem Blue Cross: There is no minimum balance requirement. Blue Shield: As members may open their HSAs with the financial institution of their choice, depository guidelines will vary by financial institution. CIGNA: There are no minimum deposit or balance requirements. Contributions to the HSA can be funded through employer facilitated pre-tax payroll contributions (EFT/ACH transactions) or through unscheduled deposits in which participants arrange an EFT from their personal bank account or send a check and deposit slip to a lockbox for contribution to their HSA. First Horizon Msaver: No minimum balance requirement and no minimum initial deposit requirement for employer groups. Kaiser Permanente: Our preferred financial administrator for HSA plans, Wells Fargo, does not require minimum deposits for employer groups with payroll deduction. A minimum deposit of $100 is required for individual and family plan members not enrolling through an employer group. Please note: We also offer extensive online decision support tools to both empower and help members when making these important decisions. Sterling HSA: Sterling accepts cash, checks, and electronic fund transfers through www.sterlinghsa.com in a secure, password protected environment. We recommend an initial deposit of $100 and require a minimum balance of $20 to keep the account open and active. 18. Where is your company headquartered? Anthem Blue Cross: The headquarters building for Anthem Blue Cross is located at 21555 Oxnard Street, Woodland Hills, CA. CIGNA: CIGNA HealthCare is headquartered in Bloomfield, Conn. and CIGNA Corp., the parent company, is headquartered in Philadelphia, Penn. First Horizon Msaver: Overland Park, KS, with an office in Fresno, CA. HSA California: HSA California is based in Orange, Calif., and does business throughout the state. Kaiser Permanente: Our headquarters are located in Oakland, California. Sterling HSA: We are a California owned company and are head-quartered in Oakland, Calif. We cover the country with people and offices in the Southwest, Northeast, Midwest, and California. 19. Please provide the phone number and e-mail that brokers can use to find out more about your plan. CIGNA: Please contact your local CIGNA HealthCare sales representative at 888-802-4462. Anthem Blue Cross: Please reference our online resources or contact the regional sales manager for individual and small group assistance. Large Group representatives should likewise call their group sales manager at the company. Blue Shield: Brokers can call their Blue Shield sales representative or call Blue Shield Producer Services at (800) 559-5905 or visit Producer Connection at www.blueshieldca.com. 8 a.m. and 5 p.m. Monday-Friday, or e-mail us anytime at sales@hsacalifornia.com. Brokers can also visit us online at www.hsacalifornia.com, where they will find free sales training collateral, brochures and forms they can print and share with clients. Sterling HSA: Brokers can contact any of our sales representatives. Their names, email addresses, phone numbers and territories are available at www.sterlinghsa.com on the Contact Us page. Brokers can also email broker.support@sterlinghsa.com or customer.service@sterlinghsa.com. Our phone number is 800-617-4729 available 6am-8pm PST. Personal service and account support is a hallmark of Sterling HSA. UnitedHealth Group: For more information, please visit www.unitedhealthcare.com. 20. Which market segment (small/mid/large) do you anticipate these plans will best accommodate? Anthem Blue Cross: We are seeing interest and adoption in all market segments. Blue Shield: HSA-eligible plans continue to generate interest from all market segments, including individual and group markets. As such, Blue Shield members enrolled in HSA-eligible plans span across all lines of business, from the individual and small group markets to large, major employers. First Horizon Msaver: We successfully service individuals to groups of thousands of employees. Our Implementation and Account Management teams can develop enrollment, funding, and communication programs to fit any size group. HSA California: We believe HSAs are appealing to all market segments; however, HSA California is designed for employers with 2-50 employees. Kaiser Permanente: Our HSA-Qualified deductible HMO, PPO, and EPO plans appeal to all market segments, including Individual and Family, Small, Mid, and Large. Sterling HSA: HDHP/HSAs accommodate all market segments and we serve them all today. 21. What channels have been most effective in selling HSAs? Anthem Blue Cross: Agents and brokers remain our most effective channel for HSA marketing and sales. Blue Shield: Our HSA-eligible high-deductible health plans are primarily sold via soliciting brokers. To assist brokers in selling our HSA-eligible plans, we’ve provided educational and marketing collateral as valuable resources to ease the plan purchase process. CIGNA: We have found that the broker/consultant channel has been the most effective. First Horizon Msaver: We believe that the most effective channel for selling HSAs is through an informed and empowered broker network. HSA California: All HSA California sales are through licensed independent insurance brokers and authorized general agencies. 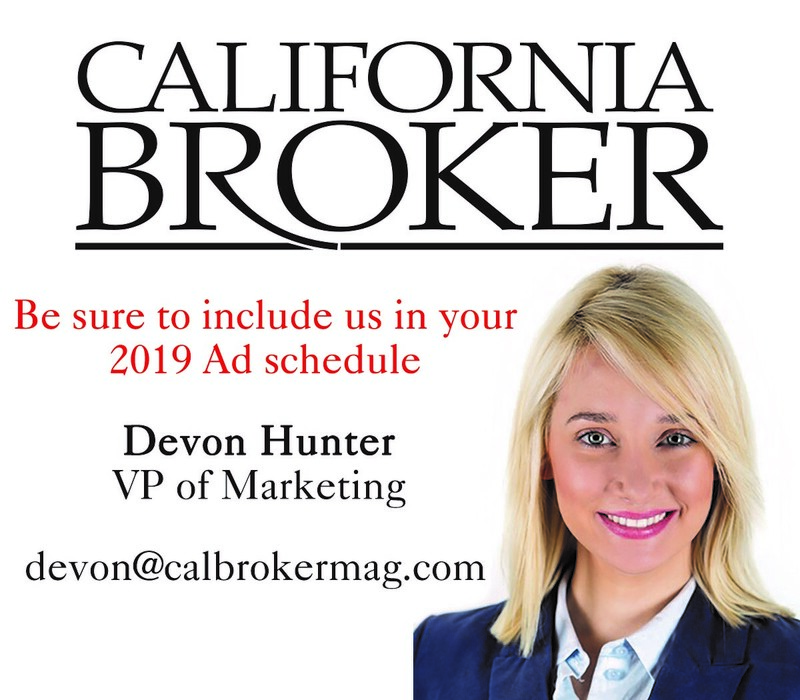 To make sure brokers understand the unique selling opportunity behind HSA California – that we’re the only small group, fully integrated HSA program with multiple carriers in California – we produce timely communications and brochures that walk them through the program. Kaiser Permanente: All channels have been successful in selling HSA programs. Sterling HSA: We are committed to the broker, agent and consultant channel. UnitedHealth Group: UnitedHealthcare’s HSA-qualified plans are sold primarily through brokers and consultants, or directly to individuals purchasing insurance policies on their own. 22. Which customer segments have been most receptive to HSAs? Anthem Blue Cross: All customer segments continue to express interest in and adoption of HSAs. Blue Shield: HSA-eligible plans appeal to all customer segments, from the individual market to small, midsize, and large groups. CIGNA: We have seen receptivity in all customer segments from the small group segment through National Accounts. First Horizon Msaver: All segments. HSA California: Employers looking to rein in premium increases while at the same time expand health plan choices to employees have been most receptive. HSA California is also appealing to small-business owners looking to offer medical coverage to employees for the first time because it is less expensive than traditional coverage and offers unique turnkey savings opportunities. Kaiser Permanente: We have seen strong growth in all customer segments including the Individual and Family, Small, Mid, and Large Group segments. Sterling HSA: Customers who want to contain their healthcare costs and reduce increases continue moving to the HSA market. Areas with high PPO penetration move quickly as well. We believe this trend will continue due to rising health plan premium costs and taxes. UnitedHealth Group: All segments have been receptive to the HSA product. 23. How prone are brokers to support this with reduced commissions on the high deductible health plan side of the equation? Aetna: We have seen widespread broker support of HSA plans as a viable option for their clients. Anthem Blue Cross: There is high interest in supporting this product from brokers to date. We continue to believe brokers will promote the appropriate health plans based on their client’s needs, regardless of commission rate. Blue Shield: We have received positive broker feedback on our HSA-eligible HDHPs, as these plans have proven to be an important option for brokers looking to provide plan benefit designs at more affordable price points for their IFP and group clients. In addition, HSA-eligible HDHPs are also attractive because of the possible tax and personal saving advantages. CIGNA: Brokers have been very supportive of these plans as they offer solutions to reduce trend and maintain appropriate healthcare utilizations to their clients. First Horizon Msaver: Brokers most prone to support high-deductible health plans are those who have received education, support, and the tools that allow them to recommend these plans with confidence. HSA California: In today’s economy, the owners of small businesses are looking to reduce premiums yet still provide quality benefits to employees. HSA California takes HDHPs and HSAs to a new level by not only offering affordable benefits, but packaging three top California health plans in one program – each employee can choose a different health plan – a choice no other program in the state offers. As the market continues to change, we believe brokers will continue to adopt HSA-compatible plans as an applicable solution for many clients. Kaiser Permanente: Brokers are very supportive of these programs when they meet their customers’ business needs. Sterling HSA: Brokers who think this is the right thing to do for their clients place them in an HDHP/HSA. Many brokers use the HSA concept as a marketing advantage to grow their book of business. UnitedHealth Group: Brokers realize that the CDH plans are experiencing rapid adoption and they are doing their best to offer their customers the product that is right for them. 24. Will high-deductible health plans actually reduce utilization? Aetna: We see continued positive signs of cost control and consumer engagement in studies in HSA and HRA results. Anthem Blue Cross: When members engage in healthy choices and become active in their medical decisions, utilization is affected. Blue Shield: While preventive care is covered on all our HSA-eligible HDHPs with low or no copayment and all Blue Shield members can take advantage of our core wellness programs, it is yet to be determined if HSA-eligible HDHPs reduce utilization. CIGNA: During the past five years, CIGNA has compiled empirical data on literally millions of individuals enrolled in our CDHP, HMO and PPO plans based on claims experience that demonstrates that our consumerism products (HRA and HSA) offered as part of a comprehensive package of communication, member education and access to reliable and actionable information will substantially reduce the overall employer medical trend. Moreover, CIGNA’s multi-year experience studies of CDHP plans provide evidence that demonstrates that our consumer-driven health plans both improve costs and health care quality. First Horizon Msaver: High deductible health plans are designed to engage plan members in health care decisions by making the true cost of health care more transparent. First Horizon Msaver assists in this process by providing its HSA account holders with an online prescription drug cost comparison tool, a free consumer guide to help them determine fair prices for health care services in their area, and a medical bill evaluation and negotiation service. HSA California: The goal of an HDHP is to allow employees and their families to control what they spend on healthcare. It’s still too early to tell whether utilization will actually be reduced by offering plans with higher deductibles. Kaiser Permanente: We are evaluating the impact of high-deductible health plans on utilization. Based on early estimates, there has been a drop in utilization with our members enrolled in HSA-qualified health plans. However, the lower risk factor behind this population segment may be a contributing factor. Additionally, there are also some small studies that indicate a change in behavior from these members as they become more financially engaged and responsible for their health expense. Preliminary information shows that some members have pursued alternative options, such as E-mail Your Doctor’s Office—an online service we’re able to offer through our integrated system that has reduced our members’ doctor’s office visits. 25. How can vendors make HSAs more effective and attractive for brokers? Aetna: Make the sales process as simple as possible and give brokers tools that allow them to present these options to employers and employees effectively. Anthem Blue Cross: Vendors can make HSAs more effective by streamlining and simplifying the enrollment and communication processes. Blue Shield: Blue Shield has relationships with HSA custodians to promote HSAs and offer consumer education to brokers and employer groups. For example, vendors can demonstrate for employers how moving from a traditional PPO or HMO product to an HSA-eligible HDHP offers more affordability, which also allows for greater employee coverage. CIGNA: Provide information to help brokers understand the consumer advantages of the HSA product, provide products and processes that are easily understood by employers and support the member education at enrollment on an ongoing basis. First Horizon Msaver: We make HSAs more effective and convenient for brokers by providing education and training as well as local and telephonic broker/employer support to simplify the enrollment and funding processes. HSA California: Education is the key. It’s important that brokers are comfortable explaining the concept of an HSA and how it can work to completely satisfy the needs of clients, employees and families. HSA California and The Bancorp Bank provide a number of educational resources for brokers to help them better explain HSAs to clients. For more information on these materials, brokers can call us anytime at 866.251.4625. Kaiser Permanente: Vendors can make HSAs more effective and attractive by keeping the sales process simple, supporting good communications, supporting installations, and bringing effective online tools to employers and members. Sterling HSA: We support the broker channel with sales representatives who handle their needs personally. We also offer HSA training and education. We have online toolkits for brokers and consultants who have registered with Sterling. These include spreadsheets, PowerPoint presentations, and other sales material. 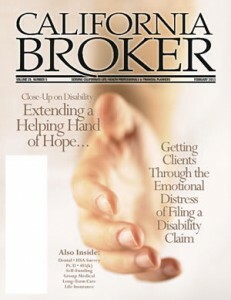 In addition, we support the broker’s employer clients in a similar fashion. This helps our broker partners better satisfy their client’s needs. UnitedHealth Group: Make quoting, set up, and enrollment as simple as possible for the broker. Provide as much broker training as possible. Provide simple communication materials for HR staff and the enrollees. Leverage the experience and materials of your health plan partner, who can offer communications materials and other tools to provide assistance. 26. Will consumers purchase plans for their traditional health plan features and view the HSA account as a perk to cover short-term medical expenses or will the primary purchase decision focus more on long-term financial planning to cover immediate and long term medical expenses and to reduce tax liability? Aetna: We see both with the latter being more common. Anthem Blue Cross: The HSA plans offer choices for all members. The member can choose to save the tax deferred monies or choose to spend the monies to cover their individual or family medical and pharmacy claims. Blue Shield: Research indicates consumers appreciate the lower cost of the actual HSA-eligible HDHP as well as the flexibility offered by HSAs, whether used to cover short-term medical expenses or for longer-term financial planning. CIGNA: We’ve seen employers offer HSA’s for a variety of reasons. Much of the consumer utilization is dependent upon the plan design and employer funding of the HSA, in addition to the way it’s promoted by the employer. A number of employees are utilizing their HSA to cover their near term out-of-pocket costs and find the auto-claim forwarding feature attractive. We are also seeing a growing interest in individuals saving for future expenses and/or retirements needs. CIGNA’s Choice Fund HSA offers the tools and resources to support both options. First Horizon Msaver: We recognize that the HSA appeals to both segments and we have designed our HSA offering to benefit both “spenders” and “savers.” For example, our low monthly administration fee and no transaction fees approach appeals to “spenders,” whereas our tiered interest rates and trio of investment options address the needs of those planning for the longer term. HSA California: It depends on the individual consumer. Having funds available in an HSA for short-term medical expenses is a great feature. However, the long-term advantages are equally important. The ability to save HSA funds and earn interest tax-free year-after-year, provides the unique value inherent in HSAs. An HSA is a perfect savings vehicle to add to a long-term savings portfolio next to a 401(k), IRA or any retirement medium. Kaiser Permanente: Consumers purchase our HSA-Qualified Deductible HMO plans and open HSAs to cover both immediate and long-term medical expenses, as well as to reduce tax liability. One hundred percent of our network physicians, facilities, and retail pharmacies accept our CarePay HSA debit card, and they can be paid directly through it. Generally, these transactions will appear on the Wells Fargo Bank HSA website within five days. At the time of service or upon receipt of a provider bill for services, employees can choose to pay for their out-of-pocket expenses using the HSA debit card. Sterling HSA: The latter appears to be the case. This is truly a new way to finance the costs related to healthcare. In today’s economic climate, the HSA is a great way to budget for medical, dental and vision expenses as well. UnitedHealth Group: Based on research from OptumHealthBank released in April 2007, HSA accountholders typically can be categorized into one of three basic patterns of account usage: Spenders, savers and investors. Roughly half of OptumHealthBank 400,000 accountholders are spenders and most of the remaining are Savers. While less than 5 percent of today’s HSA population are Investors, this may someday be the largest group based on early, accelerating balance trajectories. OptumHealthBank Spenders carry balances that hover between $400 and $600, spend 80 percent of contributions on current medical expenses and contribute an average of $133 per month. OptumHealthBank Savers hold a balance of nearly $1,500 on average and spend less than 10 percent of contributions to their account. OptumHealthBank Investors are the most active contributors with the highest total balances and highest expected tax savings, holding over $2,000 in bank balances and, on average, investing another $3,000 in any combination of OptumHealthBank eight highly regarded non-proprietary mutual funds. 27. Do you envision interest in an HSA eligible HMO (low-cost) plan? Aetna: Yes, since January 2006, Aetna has offered an HMO HSA in some markets. Anthem Blue Cross: Anthem is reviewing market interest and feasibility of offering an HSA HMO. Blue Shield: There are currently no plans for offering an HSA-eligible HMO product. CIGNA: We have not seen significant interest at this time. First Horizon Msaver: Yes, and since our HSA may be paired with any carrier’s eligible plan, the HSA becomes portable making it easy for a member to move between eligible plans without disrupting the saving portion of the program. HSA California: HSA California currently offers four HSA eligible HMO plans. For details Brokers can call 866.251.4625 between 8 a.m. and 5 p.m. for full benefit plan summaries for all HSA California plans. Kaiser Permanente: Yes. Since 2005, our HSA-Qualified Deductible HMO plans have appealed to all market segments, including Individual and Family, Small, Mid, and Large Groups. Sterling HSA: There has been widespread interest in HMO plans that are HSA compatible. 28. Which geographic areas and consumer demographics are brokers seeing a demand for competitive individual and family plan HSAs? Aetna: We are not in that market segment, so we cannot respond. Anthem Blue Cross: Being our HSA plans are consumer centric and come with strong preventive benefits, we are seeing strong demand across all territories and demographics. CIGNA: Our HSA qualified high deductible individual and family plans are relatively new to the market. We are seeing growing interest across all demographics and geographic areas, particularly due to the lost cost of the high deductible health plan coupled with the tax savings offered by the HSA. First Horizon Msaver: We have seen growing interest throughout the state. HSA California: We’re seeing growing interest throughout the state. 29. What problems, if any, have you encountered with HSA eligible plans? Anthem Blue Cross: Many health plans in the California market have had challenges pricing the 100% HSA plans. Anthem made pricing adjustment in 2008 and a pharmacy benefit adjustment in 2009 to reflect the actual utilization we were seeing in these 100% plans. Anthem small group also introduced new 80% plans in 2009 and the market continues to show an interest in HSA plans in all market sizes. CIGNA: We have not encountered problems with the administration of the HSA eligible plans. Two of the challenges we’ve experience in introducing these plans are: 1) Educating the member on the value of the plan when combined with a Health Savings Account, and 2) Increasing the awareness of tools and resources available to assist them in the management and maintenance of their own health care. First Horizon Msaver: A common problem is the insufficient orientation of employees as to how both parts of the program (HDHP and HSA) work together. To help brokers and employers with this education process, First Horizon Msaver has added to fristhorizonmsaver.com a number of short video clips of real people telling of their first hand experiences with the program. We have also added an interactive HSA tutorial that provides a self-guided tour of HSA basics. These new features compliment existing HSA education located at firsthorizonmsaver.com. HSA California: We haven’t encountered any problems with our benefit plan designs. Kaiser Permanente: It is important to provide education on how the deductible plans and the HSA work together in order to eliminate any problems for the employer and employee. Along with our financial administrator for HSAs, Wells Fargo, we have developed extensive training materials and marketing collateral for brokers, employers, employees and individuals to eliminate any problems and to provide clear communication. Sterling HSA: Some of the carriers have not priced them competitively enough and the prices were dramatically increased in 2009 and 2010. Employers want to see enough of a differential in cost and deductible limits. Carriers that have priced the products most competitively are finding the greatest opportunity to sell. UnitedHealth Group: The main challenge with the HSA product is educating the consumer to take financial responsibility when receiving health services. Most consumers are used to dealing with a health insurance company or their bank. The HSA product is more than the sum of its parts; it involves educating the members and encouraging them to ask financial questions when seeking and receiving health services. 30. How has your plan changed from last year? Anthem Blue Cross: We have enhanced our online support of resources with our banking partners BNY/Mellon (ACS/Mellon), added Rx Copay vs. Coinsurance and a variety of enhanced deductibles for our HSAs. We have also eliminated several 100% HSA plans from our portfolio due to high cost and poor performance. Blue Shield: Similar to other health plans, Blue Shield is actively engaged in ensuring our products are compliant with Healthcare Reform. As for HSA-eligible HDHPs specifically, we continued expanding HSA-compatible plan offerings, with additional options for all markets, including individual, small, and midsize product portfolios. CIGNA: CIGNA continues to expand tools and resources integrating the health care and financial components of the plan, while enhancing the customer experience. Recent improvements include: mobile applications for many of the consumerism web tools found on mycigna.com – enabling consumer decision support at the time of need; an industry leading Explanation of Benefits (EOB) that is simple and easy to understand; a Treatment Cost Estimator for physicians (a similar version is in pilot for consumers), Quicken for Health Expense Tracker; online bill payment functionality for the HSA; a robust HSA calculator suite including tax savings and future value calculators; and an educational video explaining the administration and tax savings associated with the HSA. HSA California: HSA California is strongly positioned to meet all of the requirements set forth by health reform. All plan designs are 100% compliant with health reform legislation. Kaiser Permanente: We have no significant changes planned for 2011, but we are always exploring ways to make improvements to meet our customers’ needs. We have expanded member support activities including proactive outreach activities to assist with employee understanding of these programs. Sterling HSA: Sterling HSA has seen steady growth despite the economic environment. We have adjusted our plan based on the economic forecast, healthcare reform and rising health insurance premium costs. We expect industry growth to continue in 2011 and beyond. We expect Sterling to have a strong year based on early indicators. Our product and geographic expansion were investments we believe will pay off in 2011. Two-thirds of employees in the U.S. who are covered under an employer-sponsored health plan are also covered by some form of a self-funded health program. There are several advantages to self-funding a health plan, but the primary reasons employers choose this option is to lower costs and increase financial control. Self-funded plan designs can include strategies to monitor utilization, steer care to discounted provider arrangements, and assure appropriateness of care. All of these strategies can encourage wellness and provide incentives for wise utilization of care, but many health care services offered under the heading of “care management” can be daunting to decipher. Every broker should understand the terms of these services in order to guide clients through this complicated system. It can be unclear what programs are in the scope of services included and whether these programs are actually cost-effective for a specific employee population. The experience of understanding care management can be like trying to navigate through a maze. Not all care management programs will lead you to the most appropriate outcome and some may leave you retracing your steps with the client to navigate a better path. When working with a client, you may be expected to know the way through the labyrinth of care management to sell a health care plan and to answer a client question about their employees’ care. The key to this maze is to know that each care management service has different interaction levels with participants and different costs associated with each program. This article will help you navigate the care management maze more effectively to help you and your clients identify the most cost-effective care management solutions for an employee population. There are several care management programs and services an employer can provide to the employee population. These services include primary care, wellness, disease management, utilization review and case management. Depending on the health of the employee population, some employers may decide to implement all or only some of these services since all of these options are very specific in their application to patient care. While care management options like wellness and disease management programs offer preventative solutions to curb future health risks, the addition of utilization review and case management programs may be a cost-effective option for an already unhealthy population. Since each person needs different interaction levels of patient care, every case through the care management maze will be unique. The primary care physician or health care provider is the first care manager an employee goes to when they have a concern about their health. They utilize their provider for annual physicals and health risk assessments like cholesterol and bone density screenings. A good primary care physician might recommend lifestyle changes, such as dietary adjustments or exercise programs based on test results or patient concerns. This might lead employees to the next turn in the maze – a wellness program. Wellness programs are designed to prevent serious illness and get people on a path to becoming, and remaining, healthier. Individuals must often make significant effort to change particular habits: to improve physical conditions like giving up smoking, losing weight, exercising more, and having regular medical check-ups, especially for mothers-to-be. A wellness program often involves coaches who are knowledgeable and experienced in illness prevention. Coaches may encourage weight loss, for example, to prevent a person from developing diabetes, a serious and debilitating disease which can be life-threatening for the individual and costly for the employer. Hopefully, a wellness program for a healthy employee population will be the last turn in the maze of care management. When a medical condition is diagnosed, especially a high risk condition such as asthma, high blood pressure, high cholesterol, diabetes, or cancer, the employee – now a patient delves further into the labyrinth. The primary care physician may recommend that the patient take part in a disease management program designed to keep a disease from becoming more severe. Nurses trained in disease management will work to ensure that patient is taking appropriate medications as directed by the physician; make sure the patient goes to the doctor for exams on a regular basis; and help the patient manage new behaviors and routines to lower the chance of the patient becoming more ill. For example, by treating and managing high blood pressure and high cholesterol early and regularly, most people can avoid heart attacks, strokes or diabetes. When not treated early, a person will most likely end up with an elevated disease state, often accompanied by hospital stays, incapacitation, and higher claim costs. At this point, the patient’s condition is usually subject to utilization review which determines whether the physician’s proposed treatment is deemed to be medically necessary. A variety of networks address not only the medical necessity of treatment, but also whether the treatment is an accepted medical practice, not experimental or investigational, and if it is a covered benefit under the patient’s plan. Utilization review is usually undertaken by the medical network. Once determinations are made, the patient and health care provider are advised accordingly. The treatment plan is approved and some patients may enter the hospital. The next leg of the maze now comes into play. Case management is a short term program most often associated with inpatient stays at hospitals. The goal is to help patients recover and be released from the hospital quicker or receive care in a non-hospital setting, such as a rehabilitation facility where the costs are lower, but at a level of care appropriate for the patient’s medical condition. For example, a patient who has a heart bypass operation will be cared for initially in an intensive cardiac care unit with constant monitoring. At some point in the recovery process the patient is usually moved out of intensive care to a room where less intense monitoring, and fewer hospital staff, is needed. Case management nurses track the patient’s improvements and recommend further step-down care in the hospital or plan for a patient’s discharge to a rehabilitation facility or transfer to the patient’s home. Case managers work with physicians, nurses, the patient, and family members to arrange for the best and most cost-effective care plan. It is important to note that all care management options are voluntary and require patient approval. Case managers, for instance, cannot move a patient to a less costly option if the patient or the family does not approve it. The patient makes the final determination whether to seek care or follow suggested options. Every level of care along the maze is accessible when it is chosen by the patient and not all paths through the maze lead to the same outcomes. While each program is unique, the decision to implement all or some of these care management programs is a decision that you and the employer must make to determine the most appropriate and cost-effective care services based on the overall health of the employee population. Third party administrators are experienced in providing support to brokers in your ongoing efforts to help clients control costs and manage their self-funded health plan. David Zanze has nearly 30 years experience serving as a leader and innovator in the health care industry. He joined Pinnacle Claims Management, Inc. as president in 1996. He has spearheaded a variety of new technology services for providers, employers, and their employees. He has also worked to develop and institute cost containment and health management programs that are now considered best management practices in the health care industry. For more information call (866) 930-7264 or visit us online at www.pinnacletpa.com. The real question for employers is not how health reform will affect them, but when. Interim regulations under the Patient Protection and Affordable Care Act (PPACA) open the door for a plan to remain grandfathered indefinitely, but future provisions and the rising cost of healthcare make that scenario unlikely. Under grandfathering, health plans that were around when the health reform law was enacted are exempt from some of its requirements. Federal guidance, effective Sept. 23, 2010, lays down rules for employers that want to retain grandfathered status. Employers should consider the savings versus the potential cost of keeping or implementing a new plan. Conservative employers may decide to keep their plans intact until further guidance is released. Less conservative employers or those seeking immediate financial relief may choose new plans. Certainly, employers must attract and retain talented employees and maintaining a competitive employee benefit program is a proven way to strengthen that effort. The Obama administration estimates that the majority of Americans who have coverage through employers with 100 or more workers (133 million Americans) won’t see any changes as a result of the regulations. However, the rules are likely to affect small businesses significantly. Seventy percent of plans that are sponsored by small businesses will be grandfathered the first year. But only one-third will remain so over several years. About half of all employer-sponsored health plans will see such changes by the end of 2013, according to the Administration in an economic analysis of the rules. Various factors make a one-size-fits-all solution unrealistic, especially a company’s location. A state’s regulatory environment can greatly affect an employer’s decision to retain grandfathered status. A report by Blue Cross and Blue Shield reveals that 25 states (with 67% of the U.S. population) had few or no regulations on healthcare insurance prior to healthcare reform. Nine states have a modest number of regulations, and 13 states match the current regulation levels. Only two states, New York and Vermont, are beyond reform with their regulations and require no changes to comply. Most employers in states that had minimal health insurance regulations prior to healthcare reform are concerned about the additional reporting and notification issues. They are also concerned about what will happen to their current contribution strategy if their plans are not grandfathered. Many employers complain that the draft rules are too inflexible. Plans can lose their protected status by increasing co-payments and deductibles above certain limits. Medical inflation, alone, can push their costs over the line. “Fifteen percent plus medical inflation is nowhere near the amount of flexibility small businesses need when rates can potentially shoot up higher than this for businesses every year,” according to Rappoport. Of all the provisions of the health reform law, the non-discrimination exemption appears to be one of the few significant benefits of grandfathering. Under non-discrimination rules, Non-grandfathered group health plans cannot provide highly compensated employers richer benefits or increased eligibility to benefits. (The IRS recently issued Notice 2011-1, delaying enforcement of these provisions until the Administration issues guidance on how to implement the new law. The implementation is expected to be delayed at least until the second quarter of 2011 since the Administration is accepting comments on the guidance through March 11, 2011. (The delay could be longer since the IRS is seeking comments on delaying implementation until 2014). Rappoport said that only two angles make sense for employers to keep their grandfathering status: If you are discriminating in favor of highly compensated employees and your preventative care coverage is weak. John Garner, CEO of Garner Consulting in Pasadena, Calif., says the nondiscrimination provision is important to some employers and not so important to others. Take an employer that provides one set of benefits for salaried employees and one set for the hourlies under a fully-insured plan. If they lose their grand-fathering status, it may not be affordable to provide the same plan to everyone. But if they cut benefits, it may be very unpopular with employees, he noted. Instead of grandfathering the plan, most employers can find ways to make up for losing the non-discrimination exemption and other provisions. Employers can get around the non-discrimination issue by compensating the executives by increasing their pay accordingly. Most employers don’t have the experience or interest to deal with the information and misinformation that is flooding the marketplace. To complicate matters, federal agencies have yet to issue regulations on many PPACA provisions. Seeking expert advice now could save employers a lot of headaches a few years down the road. Employers are confused about how healthcare reform will affect their plans. Many do not believe that the provisions will affect their health insurance plans while others are considering how much flexibility they have to make changes to their plans and still keep their grandfathered status. Some employers are frustrated because they don’t even have a choice and others simply have not started thinking about it. Under PPACA, employers that grandfather their health plans must notify employees. The Department of Labor has posted a model notice that employers can use: http://www.dol.gov/ebsa/ grandfatherregmodelnotice.doc. Communicating the decision to remain grandfathered can provide an excellent opportunity to explain the company’s strategy and answer questions about how grandfathering affects employees. One of the pros of staying grandfathered – maintaining plan costs — can be a good talking point when explaining the company’s actions. Also, it’s important to inform workers that grandfathering exempts the plan from some provisions of healthcare reform, such as limits on cost sharing. But the plan still has to comply with other provisions, such as the elimination of lifetime limits on benefits. Getting the facts in front of employees will go a long way toward reducing their confusion and helping them make the most of their benefits under a grandfathered plan. Bill Olson is marketing manager for United Benefit Advisors. His marketing experience includes Medicare, Medicaid, medical benefits, environmental insurance, specialty insurance and wealth management. Prior to joining UBA, Bill worked as a creative director and marketing consultant for several global corporations and owned a marketing and branding company located in Indianapolis, Indiana. Bill holds a Bachelor of Arts degree in visual communications from Ball State University. United Benefit Advisors is a member-owned alliance of more than 140 independent benefit advisory firms and one of the nation’s five largest employee benefits advisory organizations. Agents quoted in this article are Members of United Benefit Advisors. For more information, call 317-660-6652 or e-mail bolson@UBAbenefits.com. To qualify for grandfathered status, a plan can only make very limited changes to coverage. Grandfathered health plans can make routine changes to their policies and still maintain their status, such as making cost adjustments to keep pace with medical inflation, adding new benefits, making modest adjustments to benefits, voluntarily adopting new consumer protections under the new law, or making changes to comply with State or other Federal laws. Premium changes are not taken into account when determining whether a plan is grandfathered. In November, the Administration -issued an amendment to the interim final regulation to allow group health plans to switch insurance companies and still maintain their grandfathered status as long as the structure of the coverage doesn’t violate one of the other rules for maintaining grandfathered status. • Coverage of recommended prevention services with no cost sharing. • Patient protections such as access to OB-GYNs and pediatricians without a referral by a separate primary care provider. Imagine sitting on a plane from Los Angeles bound for Hawaii. Your pilot announces that the plane only has enough fuel to complete one quarter of the flight, which means that you’re in for a water landing in the Pacific Ocean. He promotes the affordability of the ticket compared to higher priced flights with full tanks. Do you search for your flotation device or change to a plane with enough fuel to go the distance? This is the metaphorical choice that consumers and agents face as they confront the challenge of designing a long-term care (LTC) insurance policy to address an unknown future liability. This article will attempt to explain how numerous optional features can be assembled to create an LTC insurance policy that meets the customer’s expectations and budgetary constraints. But before we begin the feature debate, let’s define the risk, as the lay consumer perceives it — thanks to “credible” sources found on the Internet. The consumer’s biggest challenge is deciding how much coverage is enough and for how long benefits should be payable. Unfortunately, a “credible” source is readily accessible, (yes, unfortunately). The Department of Health Care Services website (www.dhsc.ca.gov) promotes the advantages of the California Partnership and guides consumers to the LTC insurance purchaser demographics under the bolded link, “Who Buys Partnership Policies.” According to the California Department of Health Care Services (CDHCS), since 1998 about 5.8 million LTC insurance policies have been purchased — 450,000 of which about were purchased in California. According to CDHCS purchaser demographics, during the second quarter of 2010, the average California Partnership policyholder is likely to be a married 58-year old woman who is purchasing a long-term care policy for the first time and buys a comprehensive (residential care, nursing home, home care) policy with one to four years coverage. Thank you, CDHCS; now I know what I should buy and that any other optional features presented by an experienced LTC insurance agent are not necessarily what the “average” LTC insurance policy owner includes in her policy. Eighty-five percent of CA Partnership buyers choose a benefit period of four years or less. Only 12% buy six-year or lifetime benefits, which brings us back to your flight to Hawaii; 85% of passengers may want to check the flotation devices under their seats. I am shielding myself against the impending criticism of my prior comment as I reach for my copies of Genworth’s April 2010 survey, “Beyond Dollars: The True Impact of Long Term Caring” and MetLife’s ubiquitous October 2010 survey, “2010 Market Survey of Long Term Care Costs.” The information in the consumer information brochure paints a very different LTC insurance experience than the four years or less claim expected by 85% of Partnership purchasers. • 45% needed care for a specific illness: 42% for age-related frailty, 23% for cognitive impairment, and 13% for rehabilitation from an accident. • The duration of care far exceeds anyone’s initial expectations of care — 49% of care recipients had not considered the possibility of needing long term care, yet 42% needed care for three years or more (18% for three to seven years and 24% for eight years or more). So, 42% of Genworth’s survey’s care recipients would have exhausted the “average” policy benefits of 85% of Partnership buyers. The good news or bad news, depending on your perspective, is that 32% needed care for less than a year and 26% needed care for one to two years. The problem with the short claims is that the policyholder overpays for benefits. Worse yet, the policyholder may have willfully delayed the onset of claim, holding the policy in reserve until the situation became more serious requiring facility care. As a result, the period of care passed without the policyholder ever using the benefits; now this is an expensive policy choice. Overcoming preconceived ideas about the “average” recommend LTC insurance policy and the “typical” care scenario can be troublesome. So don’t try. Instead ask policy design questions that weave the two together. For example, the consumers’ most popular Partnership pick is the three-year benefit period. Given the statistics above, roughly half the care scenarios last longer and half are shorter with a specific illness or frailty as the leading causes. Assuming that the consumer is inclined to purchase the popular choice, the question becomes when to trigger the three-year benefit. Much like Goldilocks’ dilemma, if you trigger it too soon, you may exhaust your benefit when your care needs are their greatest and most expensive (42% of the time); you may delay triggering your benefits, withholding for future use, only to recover or die prematurely (32% of the time); or you may self-fund a portion of the claim, effectively extending the policy’s elimination period by months or years and then trigger benefits in the middle and hope for the best. Goldilocks should not be satisfied with any of the planned alternatives. There is a better way — lifetime benefits. Insurers don’t like lifetime benefits because there is no finite benefit. One of the reasons MetLife cited for leaving the LTC business was that the long-term care risk is difficult to manage and capital intensive. Lifetime benefits compound that risk and capital investment for insurers. But for the consumer, lifetime benefits offer a myriad of optional features into one tidy benefits package. Lifetime benefits shorten the elimination period. As stated above, with a shorter benefit period, the consumer may delay triggering the benefit period for fear of exhausting the benefits before care ends, effectively increasing the waiting period before benefits are payable. Lifetime benefits may be the least expensive benefit duration. As soon as the policyholder is eligible, they can begin enjoying the daily benefit and waiver-of-premium. The lifetime benefit policyholder, who has no risk of exhausting the benefits, can enjoy the daily benefit sooner and on waiver. In contrast, a policyholder who purchased a shorter benefit period and deferred triggering benefits to preserve them for later would continue to pay the LTC insurance premium despite being otherwise eligible. Having lifetime benefits is the ultimate restoration-of-benefits option; it eliminates the need for spousal pools because the benefits are unlimited. These optional features are designed to answer the fear of having insufficient benefits. Lifetime benefits not only addresses that fear, but they also encourage the policyholder to enjoy the benefits of care sooner rather than later. Offering lifetime benefits is the counter point to optional return-of-premium (ROP). The ROP option presumes a return-of-premium minus benefits paid. It presumes that the policyholder dies unexpectedly and prematurely or that benefits are willfully deferred and not paid out before death. Genworth’s survey reveals that 42% of recipients needed care for age-related frailty. So a policyholder with an unlimited benefit, who had age-related frailty, but was otherwise in good health, could enjoy a better lifestyle through assistance sooner than later, creating a reverse ROP (spending more in benefits than paid in premium). • Calming the consumers’ fear of the unknown capacity issue that leads to the need for long-term care. • Addressing the perception that affordable coverage is beyond their reach. • And addressing the consumers’ denial that they will never need LTC insurance. There is no typical care scenario. But if being able to afford that care proves too burdensome, then denying its likelihood relieves the frustration and fear of enduring something alone. Having lifetime benefits allows the policyholder to choose lifestyle assistance without worry. In bygone days, if someone could afford to employ a person to bathe him, help dress him, and serve him meals, we would call that person wealthy and the person he employs would be called a butler. It’s strange that now assistance is perceived as weakness instead of evidence of wealth. 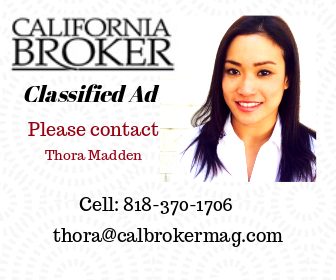 Michael Hagedorn, CFP, CLU is a brokerage manager for California Guardian Brokerage, a division of Pacific Advisors, Inc. He is responsible for providing sales support and underwriting advocacy for independent agents throughout Southern California specializing in Individual Disability Income (IDI) insurance, Long Term Care (LTC) insurance, and Mutli-Life (GSI) disability income insurance. He began his career as a brokerage manager with Provident Life & Accident in 1990; in 1995 he joined Guardian Life. Since joining Guardian, he has participated as a Field Advisory Board member and Product Development Committee member as well as a speaker and panelist at the Berkshire’s national meetings and Disability Insurance Specialists School. In 2005, he was inducted into Berkshire Life’s Hall of Fame. He is a frequent speaker on the need for income protection planning. He can be reached by phone at 310-545-1717 or e-mail at michael_hagedorn@glic.com. This plan is an agreement between the employer and the key employee in which the employer agrees to pay the employee an additional retirement benefit at future time. Employers can pick and choose whom they want to reward; they can give individual employees their own benefit level. 1. Typically, you see high first year cash value life products. 2. There is underwriting flexibility with guaranteed issue and simplified issue, depending on the number of lives involved. 3. There is full underwriting, down to one life. 5. The products can be variable universal life or universal life contracts. Two of the common NQDC plans are salary deferred and supplemental executive retirement plans (SERP). With salary-deferred plans, the key employee agrees to defer a portion of pre-tax compensation from salary or bonus. Key employees who do this today are immediately vested in their contributions. With a supplemental executive retirement plan (SERP), the employer and employee enter into a deferred compensation agreement; the employer promises to pay the employee a retirement benefit in the future. The employer agrees to pay the employee a specific income stream for a specific period and a specific lump sum. The employee receives an additional retirement benefit, but does not have to pay taxes on the income on it until it is received. The employer may impose a vesting schedule, reducing the benefit if the employee leaves prior to full vesting. A number of companies offer guaranteed issue coverage with a minimum of 10 lives for employer-sponsored plans. Here are general guidelines of how it works: $50,000 x number of lives. In the case of a 10 lives case, this equals $500,000 guaranteed issue. The insured will be required to answer anywhere from three- to five-questions for the GI product. There will be a smoking/non-smoking question. Many small business owners choose executive bonus plans because they are easy to implement. Two other plans should be considered due to their flexibility and ease of administration. The first is the Executive Bonus or 162 Bonus Plan. The employer pays a bonus to an employee equal to the annual premium on the life insurance policy for that person. The employee becomes the owner of the policy and has the right to name a beneficiary. The employee can access the cash value at retirement through tax-free loans and withdrawals to supplement their retirement income. The second is the restricted bonus endowment arrangement (REBA). It’s a specialized form of the Executive Bonus Plan because a vesting schedule is applied and the employee’s access to the cash value can be restricted until fully vested. If the employee remains with the company until fully vested or retirement, the restricted endorsement is removed and the cash value can provide supplemental retirement income. Typically, executive bonus plans work for clients who don’t care as much about golden handshakes (a severance package if the employee loses their job) while REBAs are a way for business owners who want to provide incentives for a key employees to remain with the company. When employers pay covered employees a bonus that is sufficient to cover the life insurance premiums, the employer may increase the bonus to also cover the employee’s taxes, which is a double bonus. There are companies now offering corporate term products with a minimum of 25 lives. This involves a simple application process and allows business owners to cover key employees with high face amounts with guaranteed premium periods. The product can be guaranteed for up to 15 years, depending on the issue age. The maximum amount of coverage is usually $2 million to $3 million and is determined by the number of lives participating in the program. The coverage is fully portable and individual. Programs are available from age 25 to age 70 or 75. Administration is simple since employees are only asked two yes or no questions: Are you actively at work? Are you a smoker or non-smoker? Insurance companies are willing to work with employers that sponsor multi-life disability income programs. It can be a particularly attractive option depending on the number of lives involved. Also, guaranteed issue may be an option. A number of insurance companies now offer competitive guaranteed issue options. This makes them particularly popular since the sudden impact of a disability can be devastating to the company and the employee. This is possible with a group with as few as five lives if the employer pays the premium. To make it even more attractive, a discount can be applied, which can range from 15% to 30%, depending on the premium and number of lives. Since the disability policy is fully portable, this program has significant value for employees. If they leave the company, they can take it with them. This coverage is another opportunity in the business marketplace. There are now simplified issue products for three to 10 lives, depending on the insurance company. It is also possible to extend the LTC to employee spouses. The LTC market has added ease of enrollment for multi-life groups with 24/7 online enrollment. More advisors and financial planners recognize that, with the extremely high cost of nursing home and at home care, it makes sense to protect retirement assets with LTC coverage. LTC allows selection discrimination, in much the same way as life insurance. In other words, an employer can determine who is eligible for this particular benefit. LTC can be provided for key employees as an added benefit. It will allow the employer to provide a meaningful benefit that can help reward and retain valuable associates. Denise M. Desautels is Vice President of Brokerage Sales at First American Insurance Underwriters, Inc. of Needham, Mass. She has more than 20 years experience working with life insurance producers. She can be contacted at 800-444-8715, via email at ddesautels@faiu.com. The web address is www.faiu.com. More than 70% of companies made no changes to matching contributions and nearly 10% increased them in the past three years. Thirty-nine percent of the 15% of companies that suspended matching contributions in the past three years have restored them and 38% are planning to restore them in the next six months. While nearly 40% of companies reported no change to the number of employees who are making contributions, 32% indicated an increase. However, 78% of companies that suspended matching contributions (which remain suspended) reported a decrease in participation. In the past year, companies increased employee education, added investment advice, and monitored plan investments more closely. For example, 94% of companies have a committee responsible for reviewing fund performance. More than half of plans changed their investment lineup in the past year as they replaced poor performing funds and increasingly scrutinized plan fees (72% of companies versus 55% in 2009). The survey was conducted in October 2010 and reflects the responses from 531 401(k) and profit sharing plan sponsors from across the country. PSCA conducted a similar survey of 403(b) plans. Both reports are available at www.psca.org. In the 13 years since PSCA began collecting plan eligibility data, the organization has seen a trend toward shorter service requirements for 401(k) eligibility. A recent PSCA study reveals that short service requirements are now common for participant contributions (less than three months of service). In 1998, only 24% of plans allowed employees to begin contributing to their 401(k) plans immediately upon employment. Now, 60% of plans permit immediate participation in their 401(k) programs. In 78% of plans, employees are eligible to participate in the first three months of employment. Short service requirements are even more common at large companies — 74% of companies with 1,000 or more employees provide immediate eligibility and 90% provide eligibility within three months. Only 11% of all plans have long service requirements (one year or more). For the past six years, there has been a trend toward immediate plan eligibility for company contributions as well, though twice as many plans provide immediate eligibility for matching contributions than for non-matching contributions. Sixty percent of plans provide eligibility for matching contributions within three months of employment while 32% of plans provide eligibility for non-matching contributions with the fist three months. Nearly 30% of companies required one year of service or longer for matching contribution eligibility while more than half of employers require one year or more of service to be eligible for non-matching company contributions. Minimum age requirements for plan participation have not changed much in the past few years, though there is a slight increase in the percentage of plans with no minimum. Nearly 45% of plans have no minimum age requirement for participant deferrals, matching contributions, or non-matching company contributions. The most prevalent minimum age requirement, when there is one, is 21 years old. For more information, visit www.psca.org. The 401(k) participation rates were flat in 2010 and plan sponsors remained unsure about target-date asset allocations and retirement-income offerings, according to a study by PLANSPONSOR Magazine and Assset International, “This has been a rebuilding year for many 401(k) plan sponsors and participants. Nevertheless, there is a lot of work to do to restore participant accounts and provide employees with the best possible opportunities to save for retirement,” said Nevin Adams, editor-in-chief. Many sponsors are still not sure whether many target-date funds provide the appropriate asset allocation. Also, a surprising number still aren’t sure how much their 401(k) plans cost. Hardship withdrawal trends have been encouraging. Slightly more than 2% of participants took a hardship distribution in the past year compared to 3% a year ago. Larger plans had about twice as many on a percentage basis as the smallest programs. Only 25% of plan sponsors said that all or nearly all of their participants were deferring enough to take full advantage of the employer match, a reading that declines sharply with plan size. Participation rates were roughly flat compared to rates a year ago. Responding plans reporting a combined participation rate of 72%, compared to 72% a year ago. The median participation rate also was lower in 2010 at 75%, compared to 78% in last year’s survey. There was a slightly lower adoption rate for automatic enrollment programs compared to 2009. However, there was an increase in adoption among the largest sponsors (63% in 2010 versus 52% a year ago). There was a 10% increase in the number of mid-size and large programs. Small and micro plans showed no change. More than three quarters of the plans offered matching contributions compared to 74% in 2009. But it’s not enough to offset the 12% of plan sponsors that recently eliminated the match/employer contribution in last year’s survey. Meanwhile, more than half the mega plan respondents indicated a match equivalent from 51% to 99% of 6% of salary. Only 38% identified that level of match a year ago. Nearly two-thirds of plan sponsors and nearly half of the largest programs use a financial adviser. Sixty one percent of programs in the large segments and 60% percent of plans in the mega segments had adviser fee arrangements based on a flat fee/retainer. In addition, 54% percent of micro plans and 60% of small plans, adviser fees were based on plan assets. In every market segment, there was movement away from fees based on plan assets and toward some form of flat-fee arrangement. 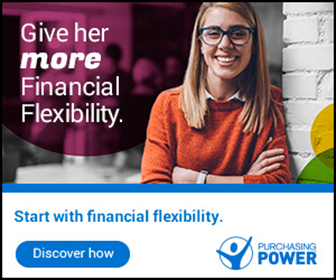 For more information, visit www.plansponsor.com. The average total plan cost for a small retirement plan (100 participants) is 1.33%. The cost is 1.11% for a large retirement plan (1,000 participants), according to the 11th Edition of the 401k Averages Book. The study shows the small plan average investment expense is 1.26%, while the large plan average investment expense is 1.09%. Investment expenses account for 95% total expenses for small plans and 98% for large plans. The range between the high and low total plan costs is .57% to 1.76% on a 100-participant plan with a $50,000 average account balance. Co-author, Joseph Valletta, said, “There’s a wide range of costs for 401(k) services and it’s important to understand where your plan fits in that range. With new 401(k) fee disclosure and fee transparency initiatives under way, knowing how your 401(k) plan fees compare to an average is valuable information.” The study includes 16 charts to help plan sponsors and advisors see whether their costs fit in the first, second, third or fourth quartile. The range is 1.18% to 1.49% between the 25th percentile and 75th percentile for the small plan universe. For more information, visit www.401ksource.com.